This cute little girl papercraft template was submitted by Reza Nalendra (Ongo Art). Tuti is the main character of online comic Tuti and Friends created by Raden Mohamad Fajar (Fajar Design). She is a hyperactive little girl, innocent and always brings joy. 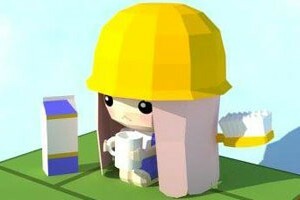 Whenever she goes, she's always wearing a yellow safety construction helmet and carrying a giant toothbrush. The template contains 13 pages of patterns, it comes with 10 pages of instructions file, both template and assembly instructions are in PDF. Due to more than 2 Mbs of each files I split them into 2 parts each in RAR format, you have extract it after both parts have been downloaded. This template was submitted by Suraj S Prakash. He wanted this template to be published on paper-replika.com. 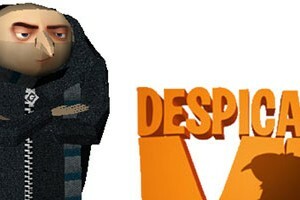 When he post about this Gru from Despicable Me 3D animation movie paper craft in Peri Facebook Group, I thought this will be a nice paper craft and it is. The complete model is about 25 cm in height, the template itself contains 4 pages of patterns. There is no assembly instructions in images as usual, but don't worry Suraj has included a pdo file as an instructions. In pdo there are some flipped patterns, you can find the correct template in the PDF file. 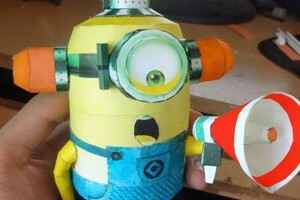 Another new minion theme paper craft, it was submitted by Saurabh Jethani from India. 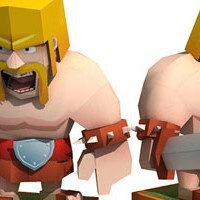 The model is more detailed that Paper Replika version, the hands are already 3D. He build and designed this minion template by himself. 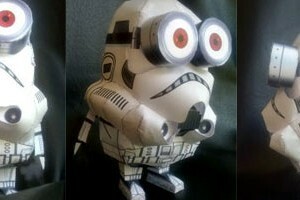 The paper craft is depicted a minion that is doing "Bee-do" . Bee-do is an action in a scene in Despicable Me 2 movie by one of the minion that simulates a siren sound with his mouth using a megaphone and also equipped with siren lamps on his head. The template consists of 3 patterns.